Dr. Charles Tomberlin graduated the medical school of Tulane University and completed both his internship and residency program at Louisiana State University. He is specialized in Radiology and board certified in Diagnostic Radiology. 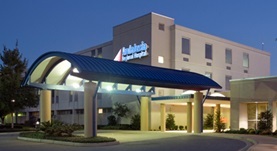 Dr. Tomberlin has been in practice for more than 20 years and is affiliated with Andalusia Regional Hospital. During his career, he has also published one writing of medical interest in collaboration with other doctors which is entitled “Otitis media in a premature infant”. Dr. Charles Tomberlin has contributed to 1 publications. Otitis media in a premature infant. McLellan, M. S., Strong, J. P., Abdo, C. J., Tomberlin, C. G.; Am J Dis Child. 1968 Oct.